Shopping for Buck Rogers T-Shirts? High-quality T-shirt based on Buck Rogers. From Retro-a-go-go to your wardrobe! Dark Horse is proud to introduce a stunning line of officially licensed Buck Rogers accessories, produced by our friends at Retro-a-go-go for the modern space traveler! Stylish T-shirts, to be worn by distinguished and brave fashion explorers. 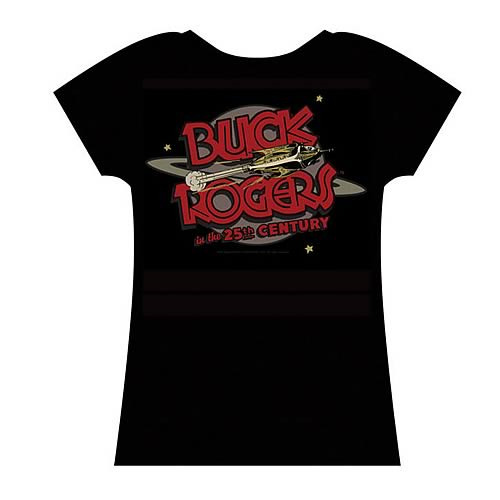 This Buck Rogers Logo Babydoll T-Shirt is the perfect gift for the fan in your life!